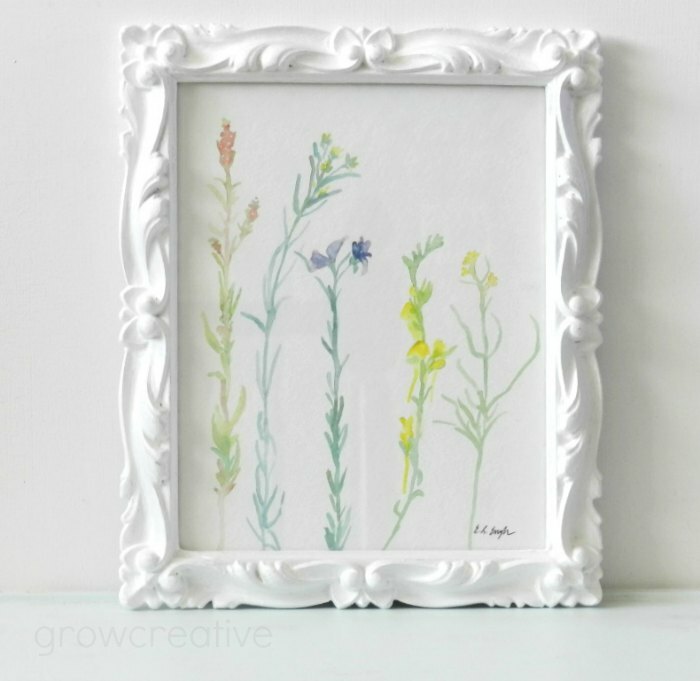 I picked some wildflowers on one of my walks last week and knew I had to paint them. Both the real flower and the painting. Love! You are such a fabulous water colorist! I am so jealous! I totally fell in love with water colors in high school, but I'm only a so-so artist at best. Why... thank you! Keep at it with the watercolors. You'll get better the more you use them! Lovely idea! Thank ypu so much for sharing! I study watercolor paiting now! It's awesome! LOVE your paintings!! I'm teaching my 9 year old daughter to do watercolor!